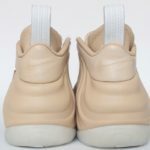 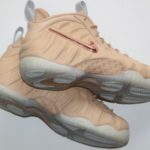 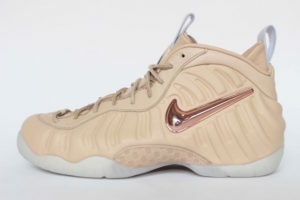 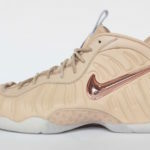 Due to Waning popularity, Nike’s Foamposite line has seen a more conservative release over the last few years. 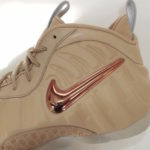 This has lead to more classic OG releases and thought out inspired new colorways. 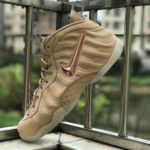 The latest is the Vachetta Tan and Rose Gold Foamposite Pro that will release this Thursday February 9th at European retailers like Caliroots. 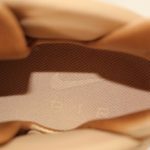 This colorway features premium leather, waxed laces and rose gold swoosh branding found on the Pro. 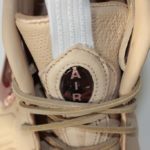 Given the timing of this release it’s likely to be set as part of the All Star Collection that Nike Sportswear releases annually to coincide with the NBA All Star Game.